The 5-axis milling of gears is an established manufacturing process in the field of short run and replacement parts. This manufacturing method is used for cylindrical gears, and also increasingly for bevel gears and worm wheels. KISSsoft provides the exact 3D models for that purpose (modules ZC10, ZD10 and CB1). 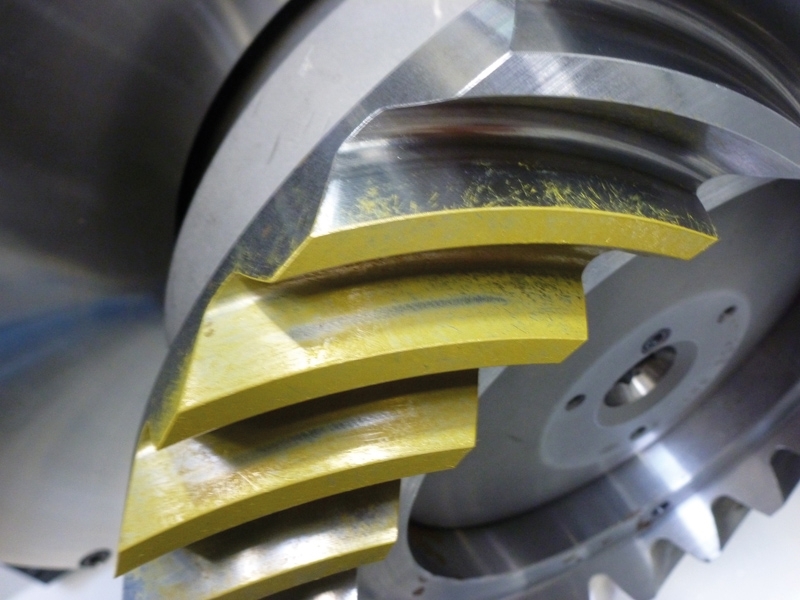 We recently performed rolling tests of the milled bevel gear and worm gear sets and compared the contact patterns with the predicted results from KISSsoft contact analysis: KISSsoft contact analysis results matched the actual contact pattern. We are pleased to give a lecture on this topic at the Dresden Machine Elements Colloquium (DMK 2013) in Germany. Find more information about events and fairs on our website.